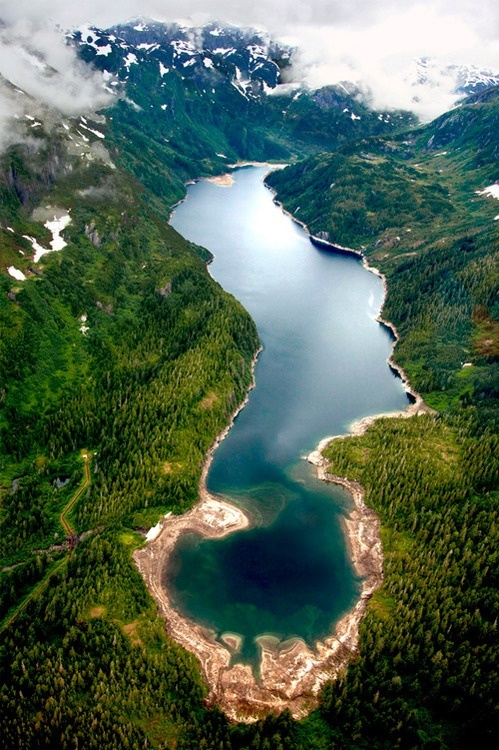 The City and Borough of Juneau is a unified municipality located on the Gastineau Channel in the panhandle of the U.S. state of Alaska and the 2nd largest city in the United States by area. It has been the capital of Alaska since 1906, when the government of the then-District of Alaska was moved from Sitka as dictated by the U.S. Congress in 1900. The municipality unified on July 1, 1970, when the city of Juneau merged with the city of Douglas and the surrounding Greater Juneau Borough to form the current home rule municipality. The area of Juneau is larger than that of Rhode Island and Delaware individually and almost as large as the two states combined. Downtown Juneau 58°18′07″N 134°25′11″W is nestled at the base of Mount Juneau and across the channel from Douglas Island. As of the 2010 census, the City and Borough had a population of 31,275. As of July 2011 the population estimate from the United States Census Bureau is 32,164.